SOUTH BEND — Tuesday night served as the end of the state journey for a pair of Warsaw divers. Dean Katris, the Warsaw Sectional champion, along with teammate Brandon Elliott both missed the cut to advance to state during the South Bend Riley Diving Regional. 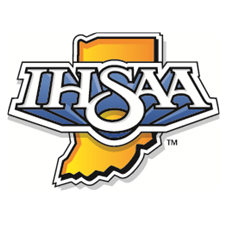 Katris, who scored 407.55 points at Warsaw during Saturday’s sectional, posted a 244.40 in his series of dives, landing in 13th place. Elliott, who slid in as the fourth-place diver from Saturday, was 20th overall with 156.25 points. Josh Arndt of LaPorte had a monster night Tuesday, ringing up a 562.85 to win in a landslide, over 83 points better than runner-up Stephen Rice of Mishawaka Marian. Locally, Concord Sectional champion Nick Ponce of Elkhart Central was fifth at 439.20 and Taylor Berkey of Northridge claimed seventh with 377.05 points, punching tickets to Indianapolis for the state prelims Saturday morning. Penn’s Wayne Zhang took the final spot with a 373.30. Area divers outside the top eight positions aside from the Warsaw pair were Goshen’s Sam Bowser (223.10) and Concord’s Malcolm DeShone (217.75).